We are proud to announce the return of our summer internship program for the seventh consecutive year with a total of four high school interns. 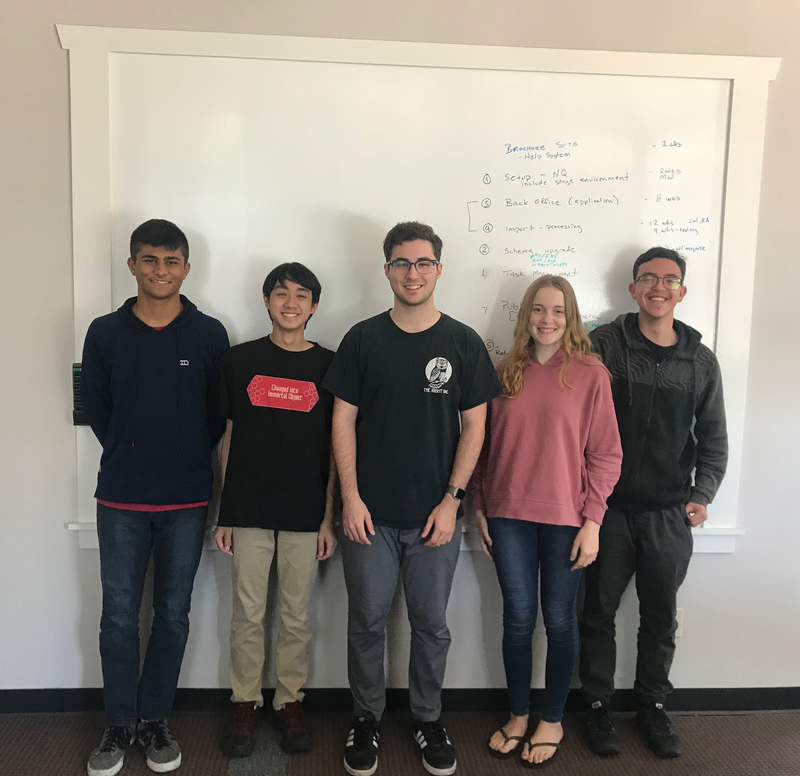 This year, we welcomed rising seniors Sophie Byerly, Wesley Fain, Ayush Nabar, and Jino Sirivatanarat from Troy High School, located just a few miles from our office. As part of the Troy Tech internship program, the interns joined us for about five weeks of hands-on work experience. (L-R) Our interns: Ayush Nabar, Jino Sirivatanarat, Sophie Byerly, Wesley Fain, with their mentor, Kyle Brodie, center. Under the leadership of Troy graduate and NetQuarry employee Kyle Brodie, the interns worked on integrating the StaffGarden Facebook Messenger chatbot with the StaffGarden system to enable hassle-free communication with users. The interns gained familiarity with the C# programming language and .NET framework throughout the process. The internship program provides our interns with a valuable opportunity to learn skills that are not taught in the average programming course. 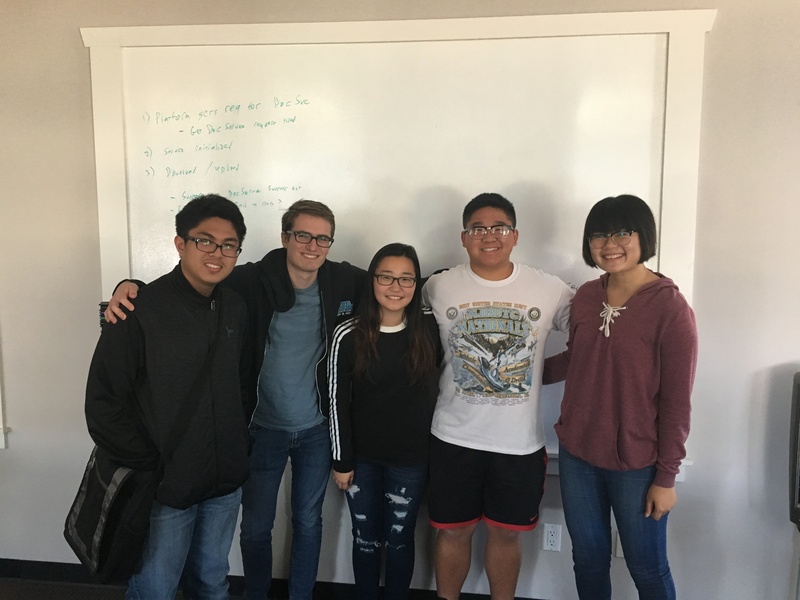 Their work here has allowed them to explore the hidden depths of the software development cycle — beyond basic coding, the interns now have experience with researching and planning a solution, developing a project incrementally, and maintaining code through identifying and correcting bugs. Their time with us leaves them well-equipped to succeed outside of the classroom. We hope our interns enjoyed their NetQuarry internship experience and wish the best for all of them in their future endeavors!